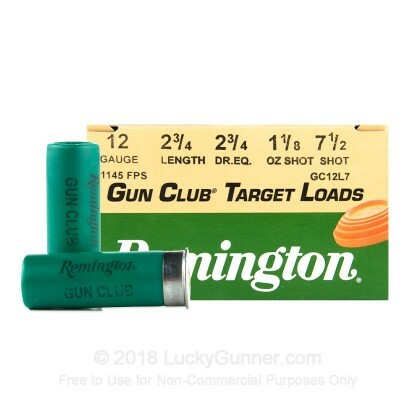 This inexpensive 12 gauge birdshot ammo from Remington is great for fun times at the range busting clays or paper targets. 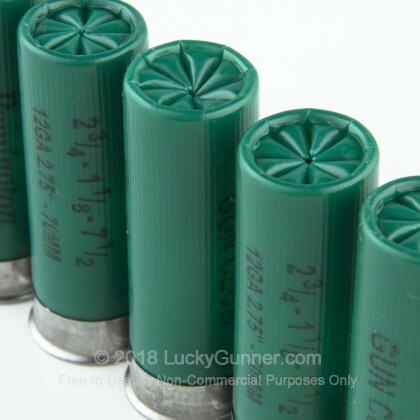 A relatively mild load, it fires a 1 1/8 ounce shot column at 1,145 feet per second out of the muzzle. 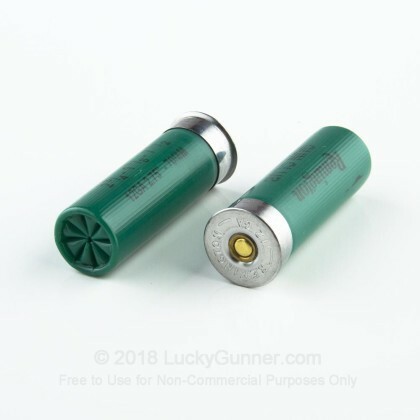 The low recoil of these shells makes them great for high-volume shooting and helps recoil sensitive shooters enjoy themselves too! 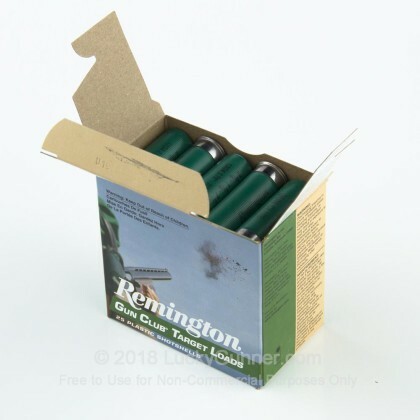 This shotgun ammunition fires #7.5 shot, which is excellent for sporting purposes but inadequate for self-defense due to its low penetration. 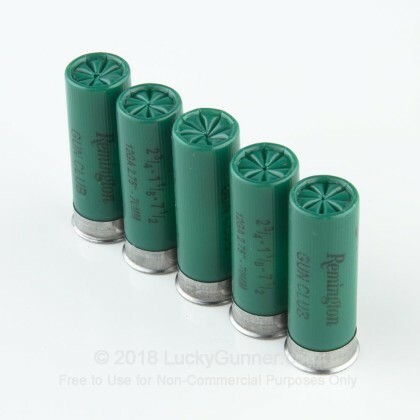 Grab this inexpensive bulk pack of 250 shells for the range and pick up some buckshot at LuckyGunner for home protection! 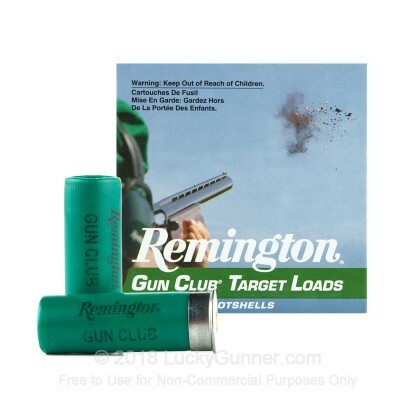 Remington is one of the top shotgun manufacturers in the world and one of the few that makes both guns and ammo. Their primary ammunition factory is located in Lonoke, Arkansas and produces shotgun, centerfire, and rimfire cartridges.